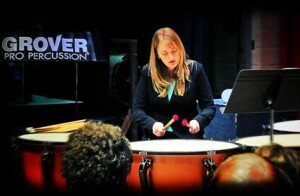 Our good friend and endorser, Joanna D. Huling, recently presented a comprehensive timpani clinic at the Percussive Arts Society – Maryland/Delaware Day of Percussion, held at Goucher College. *** plus much, much, more! CLICK HERE TO DOWNLOAD JOANNA’S FANTASTIC TIMPANI FUNDAMENTALS HANDOUT!